The following is a collection of pictures from a chess board I did for myself. 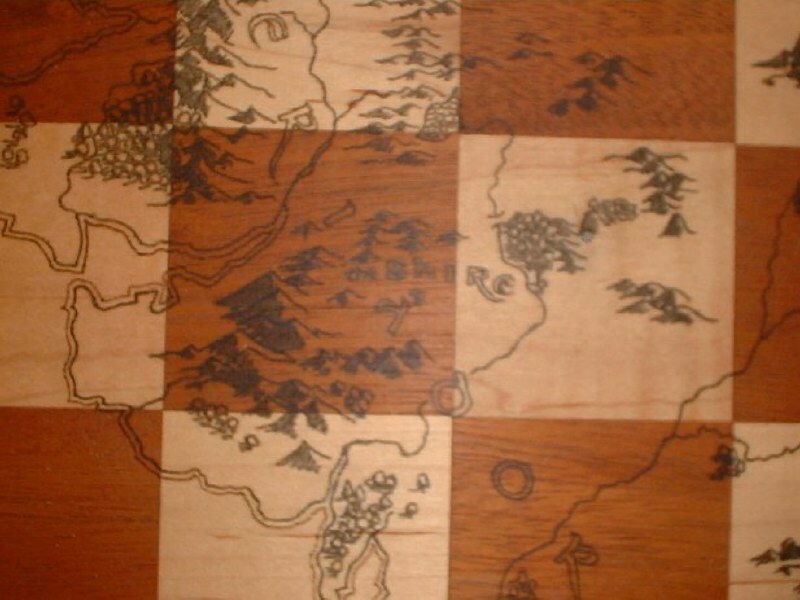 It is a map of Middle Earth burned into a tournament sized chess board. The cities; Bree, Rivendell, Minas Tirith, and the two towers Isengard, and Barad-Dur are all inlaid in shell. Bree, Isengard, and Barad-dur are all inlaid in black mother of pearl. Rivendell is made of gold mother of pearl, and Minas Tirith is made of seven concentric quarter rings of white mother of pearl. 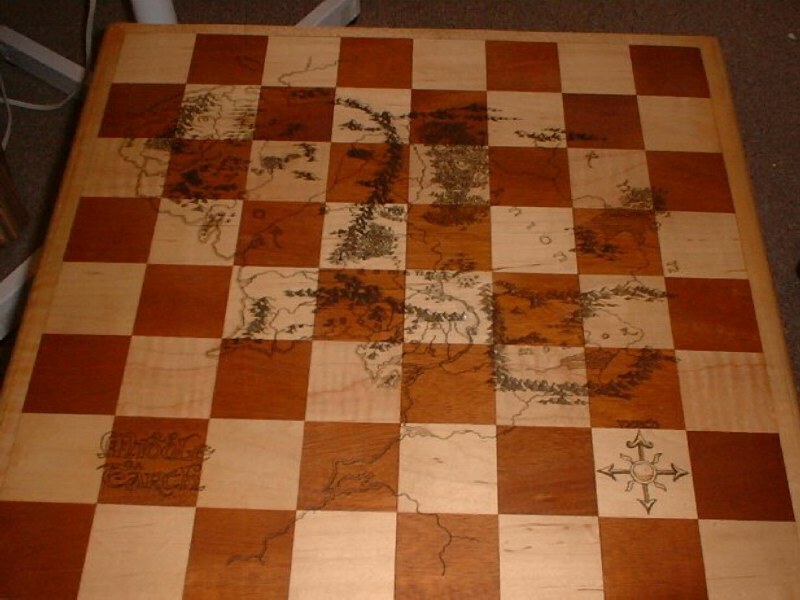 The chess board is made of maple and mahogany. 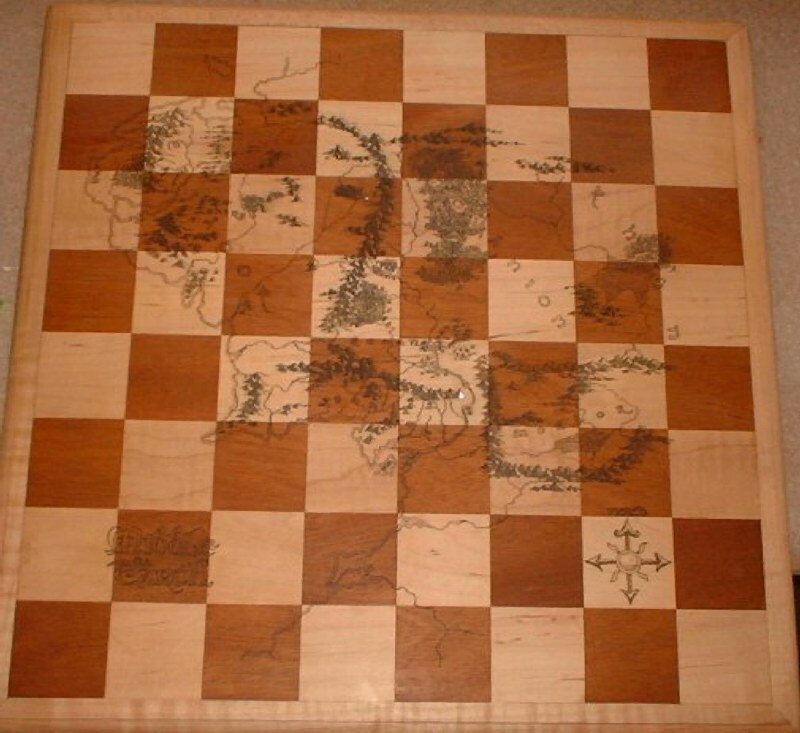 You may purchase a chess board like this one. Hand made by Al Allison or myself out of the materials of your choice. We will help you with the choosing of the materials to make sure the burning of the map will show up well. Write me and tell me what you think. I hope you enjoy.